Click Away! Each Photo Will Take You To A Different Travel Experience. Click photo or article title for post. Lake Garda is spectacular with sweet villages dotting its edges like jewels on a necklace. Desenzano makes a wonderful starting point for your day trips by car or ferry to nearby attractions! This little town will win your heart with its delicious restaurants and fun summertime nightlife. The location could not be more ideal as a base of operations for your northern Italian lake trip. Here you will find recommendations for Desenzano restaurants, gelaterias, hotels and local activities! Verona is a small city in northern Italy not far from Venice perhaps best known as the setting for William Shakespeare's "Romeo and Juliet." Located less than an hour from Lake Garda by car (and just over an hour from Venice by train), Verona is an easy city to get to and worth your time. There are many fun ways to spend a full day in Verona. Here we share our top six recommendations including a famous outdoor opera festival held in an ancient Roman amphitheater, live theatrical performances on the streets & 'Juliet's balcony'! We've discovered a new bucket list item for you... Sirmione! This lovely little town on an isthmus in Lake Garda is one of the few popular resort destinations that really lives up to its hype. Between the thermal baths, beautifully preserved medieval castle, stunning ancient Roman ruins, a unique and amazing beach, great restaurants, hotels and gelato you will find more than plenty to enjoy in this little slice of paradise! Are you considering a trip to Helsinki, Finland with kids? Wondering if it is worthwhile? My nine year old daughter and I just got back from 4 days and 4 nights in this wonderful, clean city and we recommend it very highly. Helsinki is a safe, cosmopolitan, beautiful city with intriguing, well-designed architecture. It's set amid gorgeous green forests, lakes and ponds and connected to a number of islands! In this blog post we'll tell you which neighborhood to stay in, where to eat and five fantastic, fun activities to do there with your family or friends! ​I've been traveling the world with my daughter since she was three years old but this is the first time we've ever taken a 6,000 mile journey alone! This week we traveled from Los Angeles, USA to Barcelona, Spain via Munich, Germany - all by ourselves. With bags. (Big ones!) And delays. And strikes. And countless other hiccups! Whether you're a mom or dad, here are some useful tips to help you take a great solo trip with your children. ​Ever wondered what your kid thinks about the science museum you just dragged him to? You might be surprised to learn that he actually really loves it! Our 12 year old science fan gives his unique perspective here, in his own words, on the Museo Nazionale della Scienza e della Tecnologia Leonardo da Vinci in Milan, Italy. Does the thought of packing for your children exhaust and frustrate you? Do you almost not want to take the trip at all, you dread packing so much? If so, check out these handy mom tips to help make packing for kids (and traveling with them!) manageable, organized and relaxing! If you've always wanted to go to Portugal and never had the chance, here's your opportunity to wake up with the birds in a small coastal Portuguese town! Odeceixe is a small place south of Lisbon and a few hours north of the world famous Algarve region. If you're looking for 'authentic', old-world Portugal, you'll find it in this precious and sleepy spot! Blue skies have never been bluer... and Spring Break has never felt more relaxing. One of the most beautiful beaches in the world, Playa de La Concha in San Sebastián, Spain will take your breath away from the first moment you see it. Bathing suit? Beach towel? What more do I need to know about a beach, you may ask! There are actually a LOT of interesting things about this shore... from the mysterious island in the center of its harbor to the silly and fun amusement park gazing down upon it from nearby Mt. Igueldo. Read on to learn more! Ready to hike into paradise? 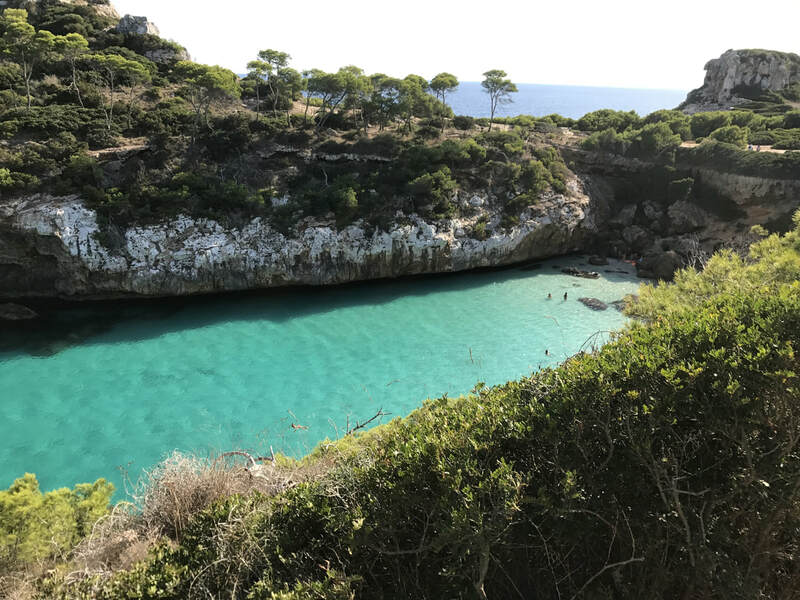 In this week's Taste of Travel we'll take you to two of our favorite beaches on the gorgeous Balearic island of Mallorca... Cala de Deià and Caló des Moro! Perfect spots to visit for a Semana Santa, Spring Break or summer getaway! From wooden shingles to white sand, paved road to a wild and treacherous trail, these extremely different beaches offer two distinct flavors of perfection. ​Discover your perfect day in Paris complete with freshly baked croissants, a hike to the Sacré-Coeur, time in the Musée D'Orsay, dinner at Chez Denise and capped off with an exquisite gelato flower at Amorino! ​In this week's 'Taste of Travel' we experience the sheer delight of a frozen, wintry day spent playing in Amsterdam's famous Vondelpark! Our travel blog will now feature a weekly 'Taste of Travel' to give readers bite-sized ideas for fun, enjoyable European and American getaways. This week we feature Aransa, a cross-country ski resort located in Cerdanya (Catalunya, Spain)! 4 Magical Things to Do in Capri - and a few to avoid! Cannobio, Italy: 8 Reasons to Plan Your Visit! From hiking along blackberry-filled trails to diving from high cliffs into pristine, deep waters; shopping for leather at an outdoor Italian market to enjoying haute cuisine with stunning, world-class views... Cannobio has so much to offer its visitors. Here are 8 great reasons why you should definitely consider adding a day in lovely Cannobio to your Italian dream vacation itinerary for next summer! Although the attention of the world has shifted away over the past few weeks, Catalan people continue to grapple with unrest and regional, political and economic instability. Our American family living in Barcelona tries to understand what is happening from many different points of view and also examines how this recent crisis is affecting many people we know and love. We also discuss small ways in which the political crisis is affecting our family on a day-to-day basis. Did Catalan President Carles Puigdemont really declare independence from Spain last week? Didn't he? Either way, Spanish Prime Minister Mariano Rajoy has already started to invoke Article 155. Pro-Independence party leaders have been arrested, the chief of police has had his passport taken, and more arrests are expected at any moment! Puigdemont has not clarified his stance yet and Spanish newspapers announce that Spain has already begun to take away the region's autonomy. Wow! We could not imagine a more intriguing time to live in Barcelona. Intense times here in lovely Barcelona! No matter what happens, tomorrow is sure to be a historic day in Catalunya. We're right in the midst of it all, watching wide-eyed. Join us for an update on the Catalan independence movement, the massive pro-unity backlash, and tomorrow's expected declaration! Sometimes when you are in the middle of an amazing life travel adventure, history takes place right in front of your eyes! We live in Barcelona, Spain. This is our family's eyewitness account of the 1 October Catalan independence referendum and the violence that unfolded that day, as the Spanish federal police and Spanish civil guard tried to stop voting from taking place in Catalunya. This post also explains the history of the Catalan independence movement and introduces the key politicians involved on both sides. With Catalunya poised to declare independence in less than 72 hours, we may have more to share soon! A Tent For Five In Roquesteron, Alpes-Maratimes: Camping Les Fines Roches! This is the story of an ill-fated flight and the beautiful July camping trip it turned into. If you're ever in southern France we highly recommend this beautiful spot! Both the campground and nearby natural pools formed by the river at the base of the nearby box canyon are gorgeous. ​It wasn't the trip we'd planned on... but excellent nonetheless. Join us for an unexpected adventure! This post featuring a hike to the beautiful, remote town of Rodellar, Spain is different and a bit more personal than our usual articles. It contains content that is more adult in nature, so a reading audience of 14+ is recommended. Located in the Spanish province of Huesca, Rodellar is a small town at the edge of an amazing region of caves, canyons and winding rivers and streams. This area is famous for 'barranquismo' (canyoning) which involves rappelling, rock climbing, diving off cliffs and swimming downstream - sometimes through natural waterslides. ​There was a major terrorist attack in our beloved adopted city of Barcelona on August 17, 2017. ​We were here, and we have a lot to say. It's really important to us to get this message out there for the rest of the world... please consider sharing. Thank you! This is hands-on history you just can't miss! Join the Aventura family as we explore two beautiful, doomed cities frozen in time nearly 2,000 years ago by one of the best-known natural disasters in history - the eruption of Mt. Vesuvius in AD79. ​Let's take a walk into the ancient world together! So beautiful, so tragic... this exploration may give you chills! In the mood for a relaxing day kayaking along Italy's Sorrento Coast? Join the Aventura family for fun under the sun as we explore the Mediterranean Sea from Marina di Puolo, a locals-only beach on the Bay of Naples with impressive views of infamous volcano Mt. Vesuvius! Nothing better than escaping throngs of tourists in the bigger cities and hanging out with the locals. Come with us to swim and kayak at this small, special beach! Intrigued by mysterious ancient trails and exquisite Mediterranean vistas? Journey with us down 700 impressive steps to the ancient Marina di Crapolla, a hidden beach beloved by Italian locals along the Amalfi Coast! The sunshine couldn't be brighter today and the water will feel cool and refreshing. Join us for another exciting family adventure. Join the Aventura family for a hair-raising drive along the world-famous Amalfi Coast to reach beautiful Positano. Nestled along the sea at the base of the mountains, this lovely place is known far and wide for its iconic beauty. We'll dine, swim and make special memories together. You simply can't go wrong with a visit to this charming seaside village. Come along with our family of five to enjoy the view! ​Watch the sun set for the evening behind the ancient ruined fortress rising impressively from the depths of the water near the lakeside northern Italian town of Cannero Rivera! Were its long-gone owners heroes or blood-thirsty pirates? Learn about the history of this spectacular, unique landmark while enjoying the beauty and tranquility of a calm summer night! The Aventura Family has been on the go for six solid weeks... a summer full of road tripping, beach adventure, hiking and hosting dear friends from California. Not to mention, hunting for the best gelato in every town! After a whirlwind six weeks spent traveling by car through three countries (Spain, France, Italy! ), we at last relax and unwind by the shores of Italy's glorious Lago Maggiore. This spectacular place never disappoints! Returning to Maccagno feels just like coming home. ​Lace up your hiking shoes and join us for an amazing cliffside trail hike along the Sorrento Coast of Italy! Together we'll descend the steep face of the mountain to discover hidden treasure ~ the Baia di Ieranto! According to legend it was here that Odysseus' legendary Sirens lured sailors to an early grave with their sultry, gorgeous songs. Join us today for a glimpse into this exquisite, legendary bay just around the bend from Sorrento... locals only! School's out for summer and our new adventures have begun! After wrapping up their final exams for school in Barcelona, we took the three Aventura children on a fun road trip! First stop - Florence, Italy. We were celebrating Soccer Dude's 10th birthday with a Radiohead show! Join us for a fantastic day including mouth-watering meals, beach fútbol and world-class music! What's not to love? ​Do you love hiking? Swimming in a pristine sea? Dining al fresco under the stars? Are you looking for a romantic getaway or fun vacation? If so, consider the Costa Brava town of Calella de Palafrugell & the stunning Platja del Golfet! If you're ready for a little summer romance, Spanish style, consider planning a trip to this gorgeous spot! Excited about ancient Greek and Roman history? Visit Spain! You'll be amazed by the treasures and ruins waiting for you on the Iberian peninsula! It may not be well known in parts of the world but Spain contains a treasure trove of ancient Greek and Roman ruins! Come with us to the coastal Mediterranean city of Empúries that flourished for over a thousand years along what is now Catalunya's glorious Costa Brava. Its Greek and Roman ruins and artifacts will astonish you! Although known worldwide for its spectacular Spanish Mediterranean coast, the Costa Brava has so much more to offer its visitors than beaches alone! Come with our family to discover two beautiful and charming castle towns located not far from Girona! Peratallada and Begur will make wonderful day-trips during your next beach vacation with the family. Join us as we explore these highly regarded beauties of Catalunya... and the medieval world! Up for a little challenge? Ready to enjoy a sunny day by the spectacular Mediterranean Sea? What could be more exciting than hiking along the edge of jagged cliffs to reach a real-life ancient pirate's cove nestled in the Costa Brava! Even better... lunch is included! Join us for the glorious, moderately challenging but child-friendly hike between Tamariu and Cala Pedrosa. The views alone make every step worthwhile but you will love it even more when you are eating lunch in a private hideaway. Planning a romantic holiday? Open to falling in love with an entire city? Consider coming to Barcelona, Spain next April 23rd! It's hard not to fall in love with a city that loves you! Join us in Barcelona on possibly the most romantic day of the year, La Diada de Sant Jordi... a holiday celebrating Catalunya's patron saint (St. George) where love is for everyone, not just couples. Spend Semana Santa with our family of five as we drive from Barcelona, Spain to the coastal village of Tamariu along the Costa Brava! Enjoy the pristine Platja de Tamariu as our brave kiddos take quick dips into the chilly springtime Mediterranean. Sway along with the Habanero band playing Tamariu's fabulous restaurant El Clot dels Mussols, where you'll enjoy a sumptuous feast! We highly recommend this small but enticing village right at the edge of the Mediterranean Sea! A perfect place to visit at any time of year. Best Of Barcelona' Tour with Best Friends! Do you dream of seeing the world with your best friend? So do these guys! Follow two nine-year-old best friends on a week long tour of Catalunya featuring a Sant Jeroni trail hike in Montserrat, parks in Montjuic, the Camp Nou Experience and plenty of fútbol around every corner! Whether you're searching for a great family tour of Barcelona or looking to experience this delightfully fun city with a best friend, we've got the perfect itinerary for your next adventure! When you imagine traveling with young children, do you feel like the idea is crazy? Are you exhausted just thinking about it? 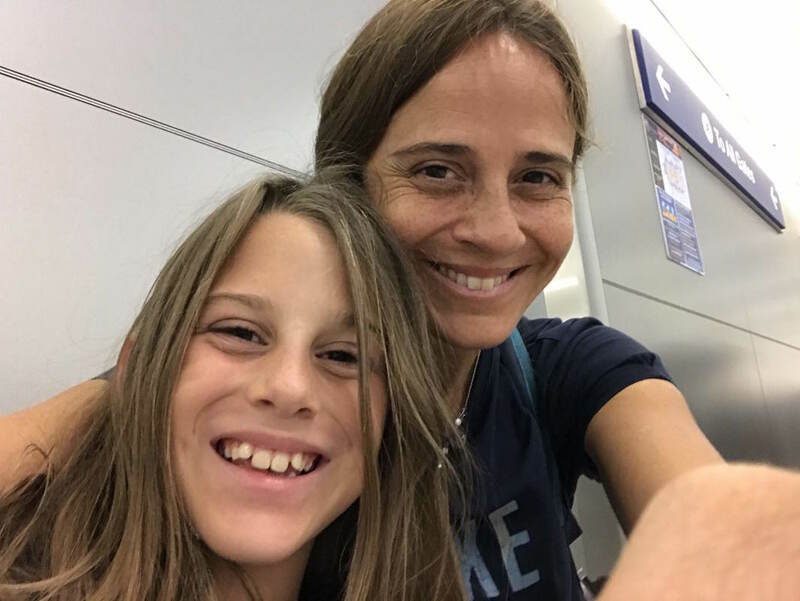 In this post you'll find some of our best Aventura family strategies for keeping children happy, engaged and well behaved while traveling long distances by airplane, train, bus or car. 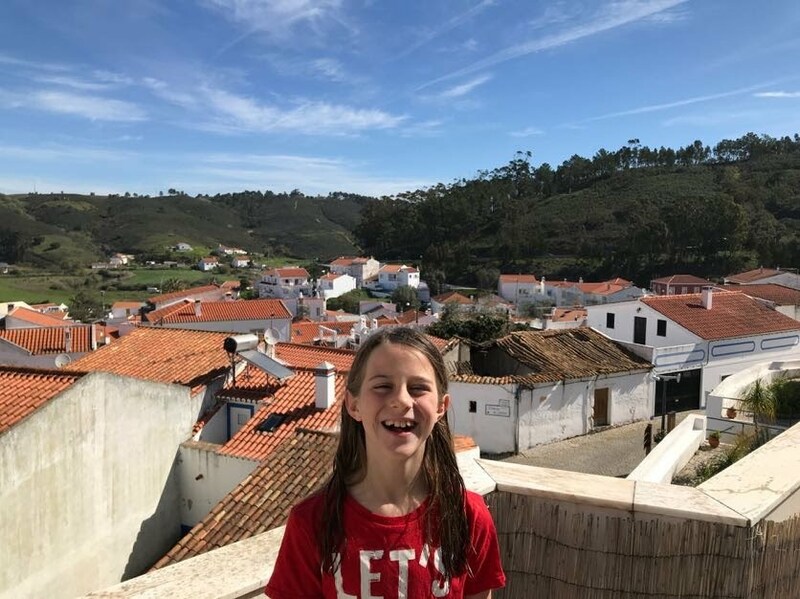 If the notion of going abroad with your small children sounds too intense and tiresome, check out our family's real life tips and strategies for making your trip more relaxing and fun for everyone! Spain loves families, welcoming travelers with kids warmly and affordably! In this post we'll examine excellent deals you can find on airfare to and around Spain along with vastly reduced child rates for train travel, museums and theme parks! 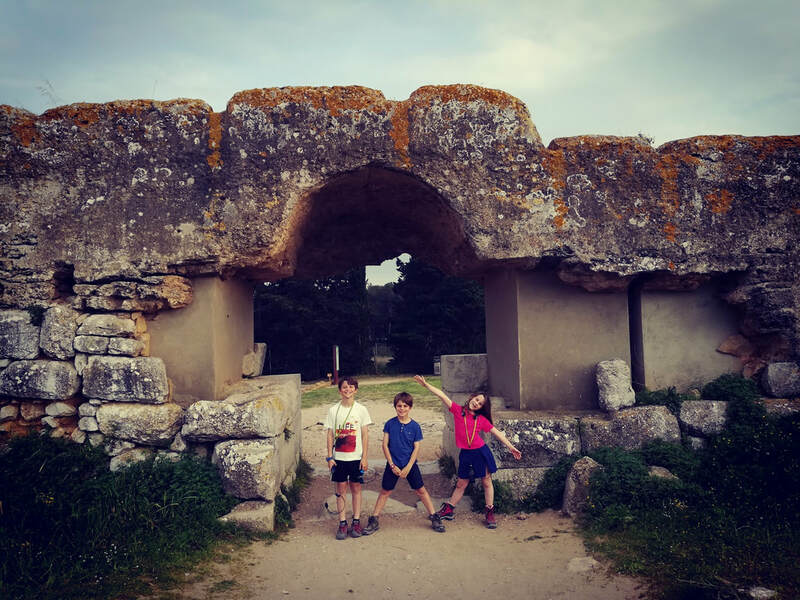 Spain is a fabulous place to travel with kids... check out some of the amazing discounts and zero-cost admission opportunities available in this country for youth and children! Europe This Summer? Yes, Please! Are you dreaming of traveling with your family in Europe on a shoestring budget? No problem! 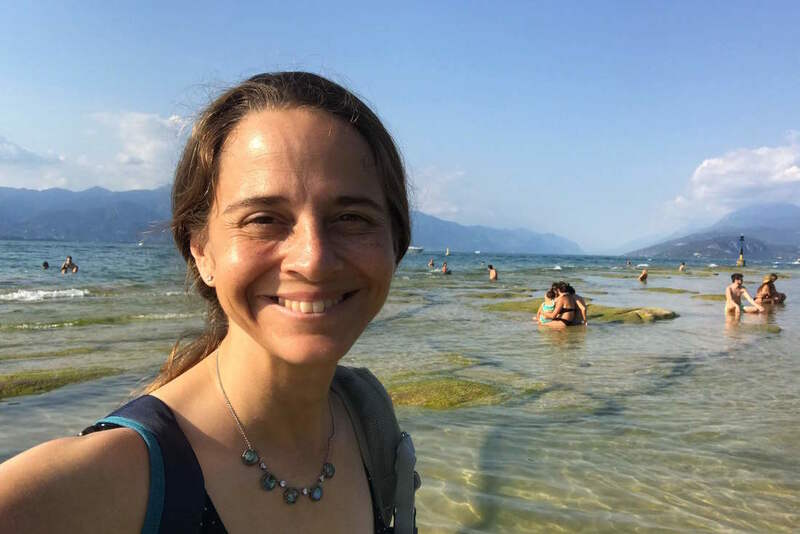 You can absolutely create the trip of your dreams with these real-life tips and tricks for economizing, getting the best possible deals and making the most of the resources you already have (for example, exploring home exchanges and credit card airline miles). These strategies worked for our family and they can work for yours too! Travel abroad with young kids on a tight budget can be easy... and you'll create memories together to last a lifetime! Fancy A Spanish Ski Holiday? In Spain some schools celebrate "Semana Blanca", essentially a ski week. We spent our week of vacation in nearby Cerdanya and fell profoundly in love. Blue skies. Pristine, snow-capped mountains. Empty ski slopes with fresh powder. Peaceful pastures full of cows and horses gently grazing, not to mention castles revealing themselves in the most unexpected of places. A journey to Cerdanya in February feels nothing short of magical! Are you dreaming of an adventure? Had enough of rain and snow for one year? Ready to bust out your trunks or bikini and head for the horizon? Do it!!! We'll meet you at the beach... in Spain! Seven months ago we moved from California to Barcelona with our three kids in tow, never imagining how much each of us would change in such a short time. We'd planned to stay for one beautiful year. It's been so amazing, we've decided to stay keep traveling! Amsterdam With Kids - Micropia, Anne Frank Haus & Indian Cuisine! Christmas In Amsterdam - North by Train! New House. New School. New Life.